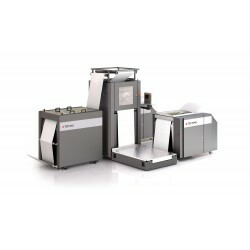 Splicer U40 - Advanced Digital Solutions Ltd. Maximize your investment in high-speed continuous digital color printing. 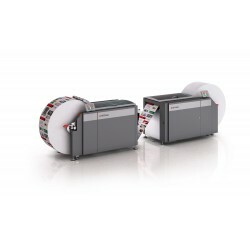 The Zero Speed Splicer u40 automatically changes input rolls, thus eliminating printer stoppages for roll changes and keeping your printer running at full speed and full productivity. The user-friendly unwinders include automatic decurling, no-lift roll mounting and a self-centering design. 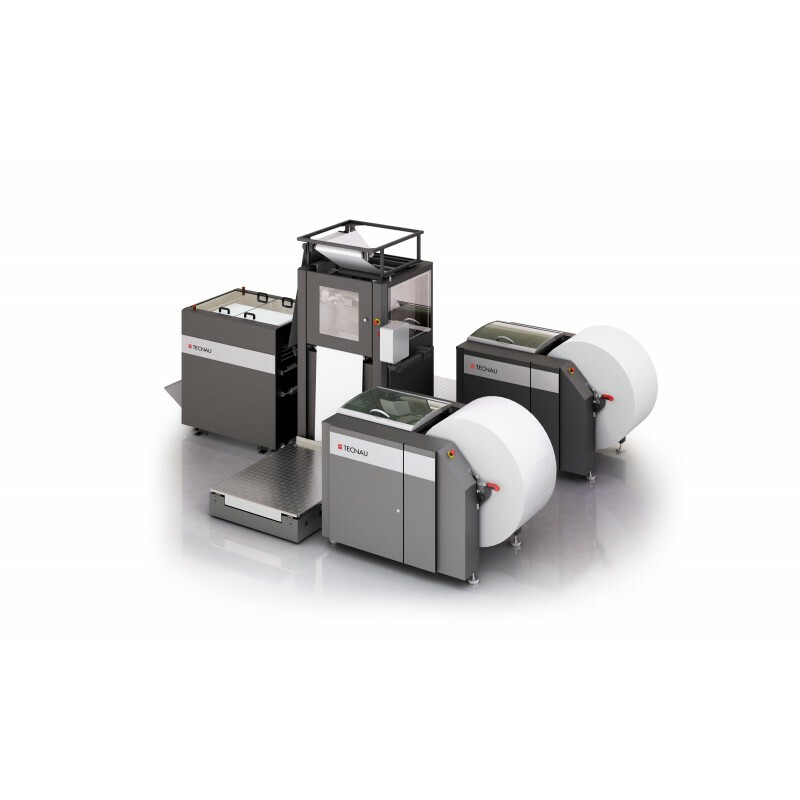 Rolls up to 52” in diameter are loaded quickly and easily into the unwinder directly from an optional roll cart – access to the web loading stations is quick and convenient. 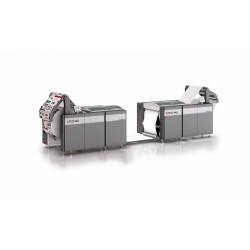 The unwinders feed paper to the central splicing unit to increase flexibility and printer uptime. 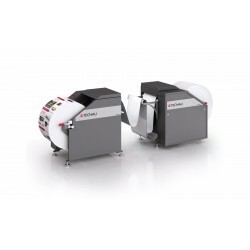 The Splicer u40 is able to maintain the maximum printer speed while the splice is made and the new roll is accelerated to the process speed, increasing total line productivity. 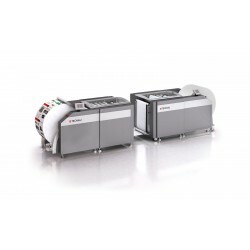 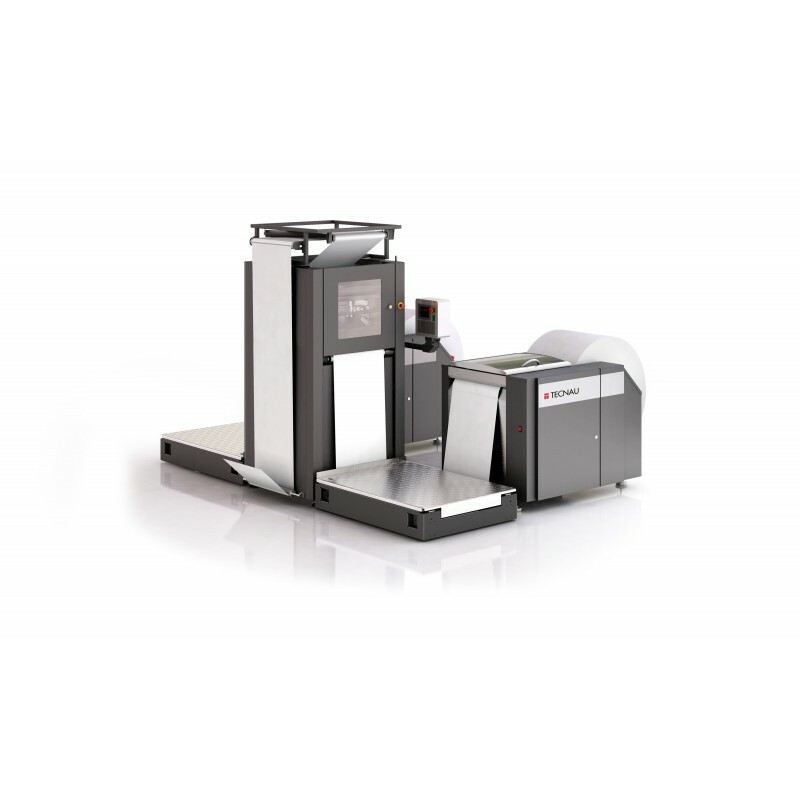 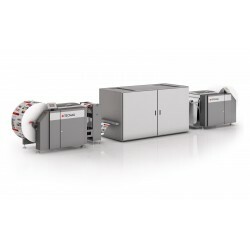 The Splicer u40 permits mixing of paper quality, paper grade and web width between rolls, thus supporting real book on demand production when paired with an-line binding solution. 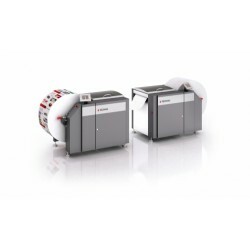 With automatic compression of splices and an interface with compatible printers to raise the print heads while the splice passes by, the Splicer u40 protects the print heads from damage.